Venerable Geshe Kelsang Gyatso is the Founder of the New Kadampa Tradition, a modern presentation of Buddhism and the source of all the teachings given at NKT-IKBU Festivals and Celebrations. For over 40 years he has shared this knowledge and experience with the people of the modern world, giving thousands of teachings, composing twenty-two highly acclaimed books, establishing hundreds of centres around the world, and inaugurating the International Temples Project (ITP), a unique international fund dedicated to public benefit. Drawing on the profound lineage of ancient wisdom that he holds, Geshe Kelsang presents the teachings of Buddha in a way that everyone, even non-Buddhists, can easily apply them to their daily lives and begin to experience true inner peace. 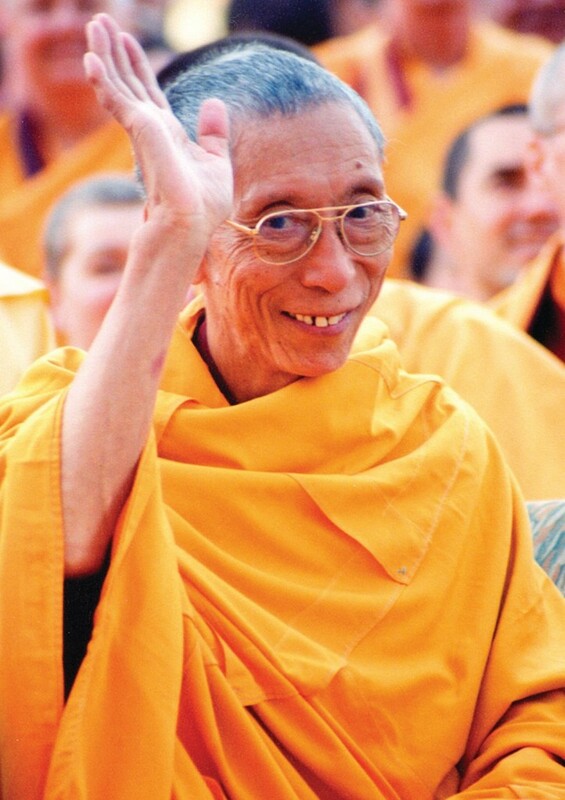 This unique lineage lives on in the teachings of Geshe Kelsang’s disciples who he has trained to become Teachers of modern Buddhism. Through almost twenty years of study and practice in the great Tibetan monasteries followed by another twenty years of meditation retreat in the Himalayas, Geshe Kelsang has earned a reputation as a great contemporary practitioner and Teacher of Buddhism.